Dear Friends. It is with great regret that I inform you that due to serious illness, I will be forced to close down my stall at Bygone Times, in Eccleston, nr Chorley, Lancashire. To that end, I will be hosting a 25% off everything SALE commencing Sunday March 9th, 2014. 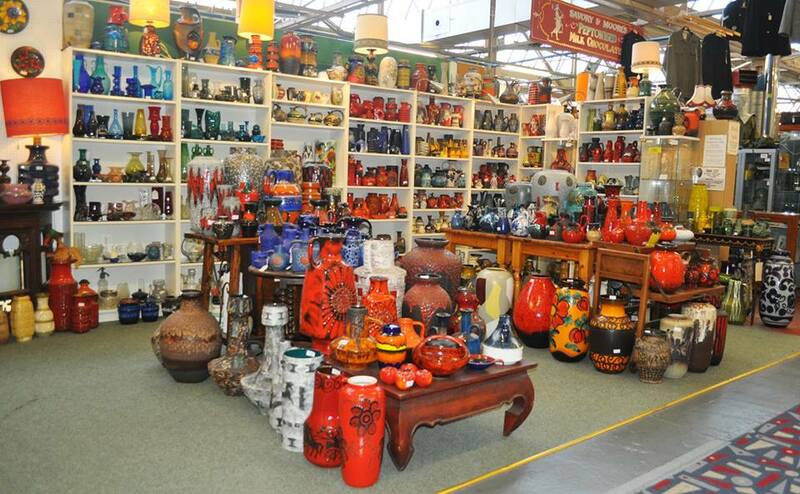 All West & East German Pottery is included, as well as Italian, French and British Ceramics. There is also a good selection of art glass available. I will be there at Bygone Times of the first day of the sale and then other days as arranged or notified. Thank you in advance for your support – I need your help to ultimately sell upwards of 3000 pieces! So come along all for those bargains – EVERTHING MUST GO! Stuart is the man who gave us some much needed advice and information six years ago, in the early days of our West German pottery collecting. Since then, he has been a font of knowledge and advice, not just for us but for many people in the WGP world. His stall – and surely, the sale – is a spectacle in itself and is well worth the trip Up North. Sadly, we will not be able to make it up there ourselves for this Sunday, but we hope to visit in the coming weeks. Hopefully, there will be a couple of pieces left for us to buy! Previous Post Our West German Pottery Sale! Next Post Was Maria Felix the Inspiration for H. Walter’s Ilonka?